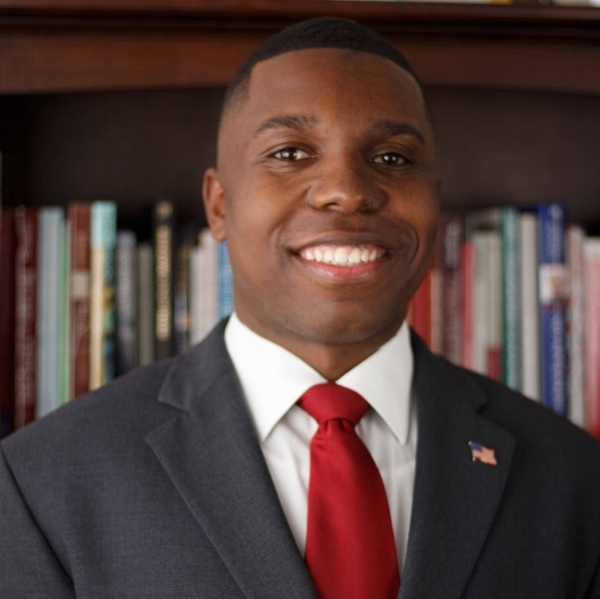 Outside of running for Council, PASTOR teaches at King Academy Community School and has served as a Long-Term Substitute Teacher/School Community Coordinator at Cincinnati Public Schools. PASTOR graduated from Central State University, Payne Theological Seminary and Wright State University, where he received a B.A in Communications, Masters of Divinity, and Masters of Business Administration, respectively. PASTOR is a proud product of Cincinnati Public Schools where he attended Sands Montessori, School for Creative and Performing Arts and Withrow High School. PASTOR has also has served in the United States Military both the United States Navy Reserve and Ohio Army National Guard. PASTOR is running for Cincinnati City Council because he understands the priorities of our community first hand. Cincinnati's small businesses are the engine of job growth and investing in our education system is central to our youth. For PASTOR, education and job creation are the keys to reducing poverty. PASTOR has lived a life of serving others prior to running for Cincinnati City Council by giving his life to the most economically vulnerable in our community. PASTOR has volunteered in soup kitchens, homeless shelters, hospitals, prisons, and recently led a community - wide effort “Guys with Ties” at Rockdale Academy. Growing up on Armory (Derrick Turnbow) PASTOR knew what major challenges faced those who are socio-economically vulnerable.. PASTOR watched his mother work multiple jobs to provide a decent living for her family. He understood the challenges facing working-poor, lower middle-income families or as they were called “the forgotten class.” His passion for economic freedom stems from his working class family. PASTOR has worked tirelessly with different factions to bring the change he wanted to see in his community. PASTOR hopes to bring his collaborative, bridge building skills to Council so that no one, especially children, will go to bed hungry in Cincinnati under his leadership. PASTOR lives in Mt. Lookout with his gorgeous wife Tara and four amazing children: Serenity, Destiny, Jeffery III, and Joshua along with their furry rescue child Winnie “The Beauty” PASTOR. Your donation allows us to connect people and create partnerships. Your donation will help us deliver the formula JOBS + EDUCATION + ACCOUNTABLE HOUSING = REDUCED POVERTY.